It was SO nice to see Jason again yesterday for a wee Christmas visit. Jason was in great spirits ( as he always is) and I had the pleasure of meeting his caregiver, Yolee ( who celebrates a birthday tomorrow…happy birthday !) 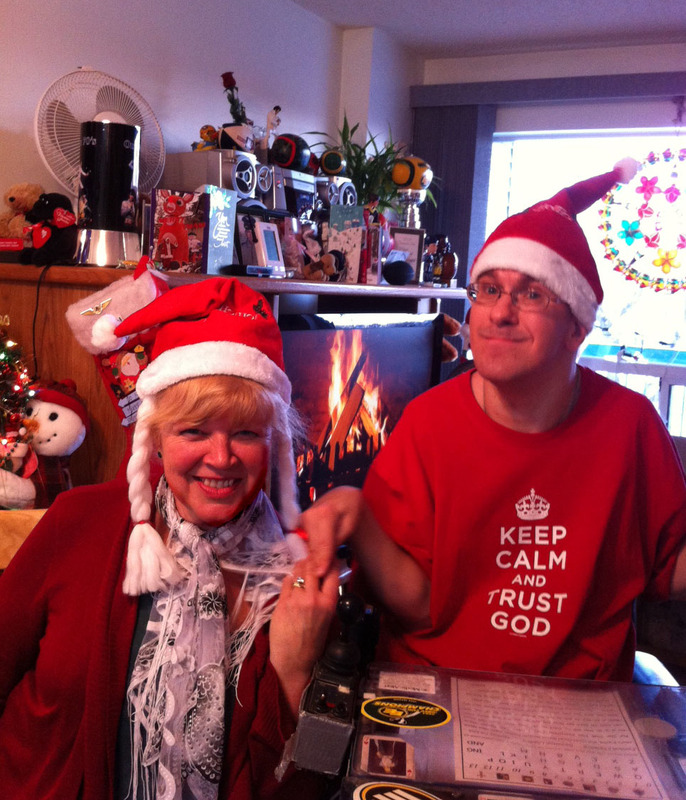 Jason and I got to catch up with life now and what life purports to look like in 2015. Lots of changes on my end ( renovating, newly retired husband, grandkids on the way….) and Jason is excited about penning a new song ( Elvis inspired!) in the new year. Here is a reminder of Jason and my work together this year on his lyrics….FREEDOM ! P.S. A special thank you to Jason’s mom for helping him pick out lovely presents . I am saving the big box for Christmas.